Google has announced “Google Play Instant”, a new and faster for users to try out apps and games within the app store for Android. This allows users to discover new apps and games that can launch instantaneously without the need to install or download them. In its blog, Google said, “With Google Play Instant, you can just tap and try a game without having to download it first—whether you’re looking to storm a castle on Clash Royale or become a word master with Words with Friends 2.” With this feature, you will now see a “Try Now option” available with select apps and games. This button will replace the previous “More Info” button just next to the Install option on Play Store. Tapping it leads to a brief downloading process and then the app loads online. This part will be stored in the Play Store. So if users open the same app/game for the second time, they won’t have to wait for the Instant version to load again. Announced at the ongoing Game Developers Conference (GDC) 2018, with Play Instant Google aims to make it easier for users to choose among the thousands of games available on the Play Store. 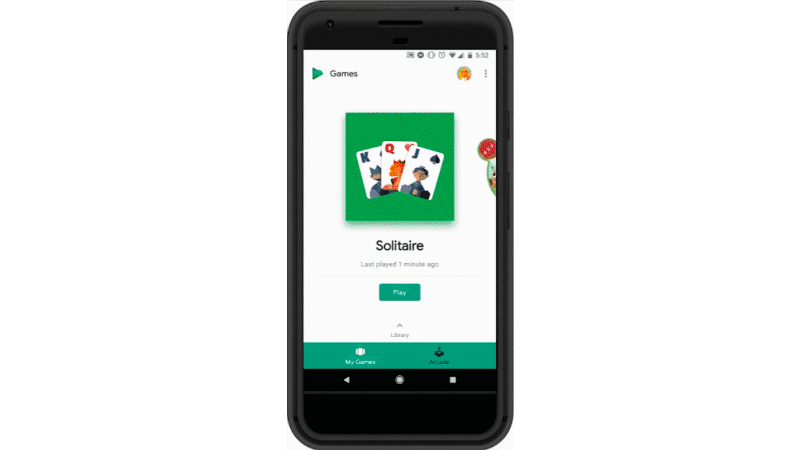 Users can experience the Google Play Instant in the Google Play Store and the Google Play Games app, or wherever the game links are shared. Play Instant is currently a beta program, and only eight games are available on it right now. In addition, a fresh set of updates made to the User Interface (UI) of the Play Store will give users better access to images and screenshots. The company also launched a new version of Google Play Games with a new “Arcade” tab. The tab is meant to help users discover new games and includes game trailers. It also comes with tags like “New” or “Action” to help users search for games on Play Store. Google will also show more information about games such as news related to a particular game, YouTube videos related to the games, which will allow users to learn more about the game. Also, all the latest developments by game developers will be available.